OpenSim developers are getting ready to release OpenSim 0.9.0, and some grids are already experimenting with the new features by downloading the experimental version of the new release — and they are running into some problems. The problem is specific to grids using the new ubOde physics engine, which is included as an optional feature. However, this engine takes a slightly different approach to mesh objects, specifically, objects that you can walk through like doorways and caves. “The mesh problem is huge and plagues us now,” said Josh Boam, founder owner of the SkyLife grid and hosting company. As a workaround, he said, the physics setting on the meshes is set to “none” and transparent prim objects are added if walls, floors, or other physical elements are needed. DigiWorldz founder Terry Ford, also known as Butch Arnold in-world, is also sticking with the current release. One alternative could be the Halcyon fork of OpenSim, which the U.S. Army’s MOSES grid recently switched to. “If the Halcyon code was hypergrid-capable in some form, I’d switch to the Halcyon fork tomorrow,” Ford wrote. 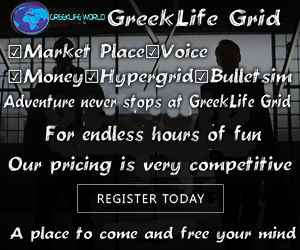 The hypergrid allows users from one grid to teleport to another grid, to make friends on other grids, to go shopping there, to join groups, and to send messages to other users throughout the metaverse. Currently, 79 percent of OpenSim’s public grids are hypergrid-enabled. The hypergrid accounts for 78 percent of OpenSim’s active users and 94 percent of its land area, according to the latest Hypergrid Business statistics. Since MOSES is a security-conscious government-owned grid, hypergrid support is not currently a priority, but is in its longer-term development plans. ZetaWorlds has also run into the mesh issue with the new experimental release. ZetaWorlds is an open grid, operated and hosted by Zetamex, and has already upgraded areas of the grid — but it hasn’t always worked out perfectly. “We had to revert some regions back because they had a cavern system with meshes,” Zetamex spokesman Timothy Rogers told Hypergrid Business. Users were not able to walk into the caves, he said. He warned other grid owners to check with their users before upgrading, especially if they plan to use the new physics engine. 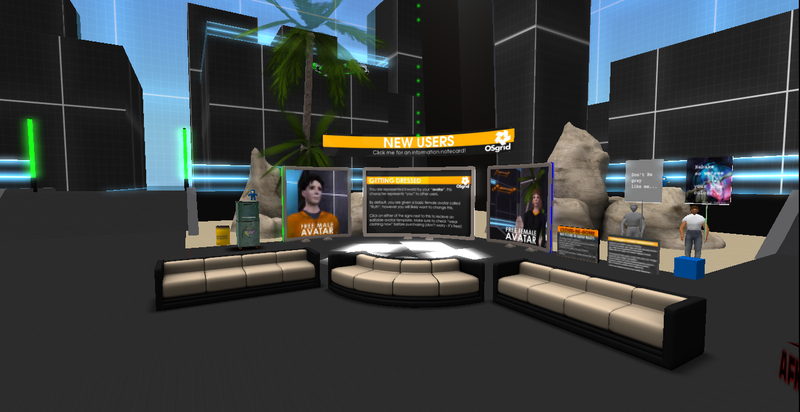 Mobius Grid, a Zetamex customer, has also upgraded to OpenSim 0.9.0. 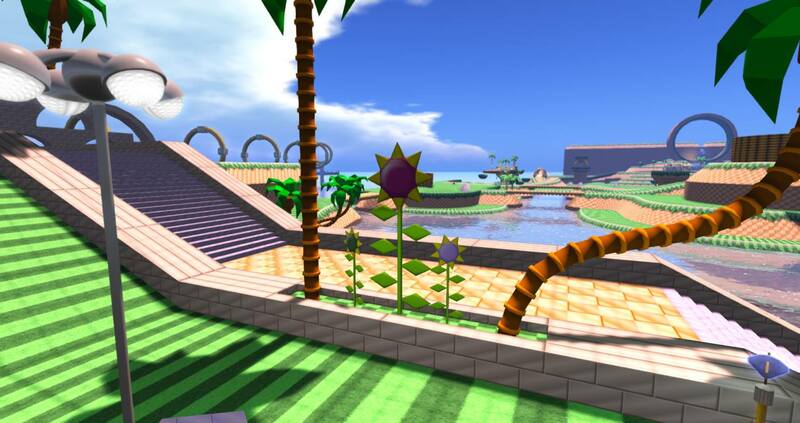 “The welcome hub we just replaced had to be re-uploaded as well as our mesh palm trees,” Shawn Corr told Hypergrid Business. He is also known as Serra Royale in-world. Both Corr and Rogers were guests on Inworld Review Sunday afternoon and discussed the new OpenSim release, among other topics. 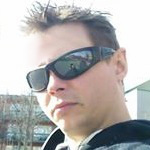 Some users tried to contact the OpenSim development team to find out if there was a fix to the problem, and were told that the meshes had to be re-uploaded. “That answer isn’t going to fly with a lot of people,” said Rogers. Complex builds, for example, can involve many meshes and re-uploading them and re-installing them into the build can be extremely difficult and time-consuming. And if the user didn’t upload the original mesh themselves, but received it from another user or purchased it, the problem becomes even more difficult. Plus, a mesh uploaded with ubOde may not work with the earlier Bullet and ODE physics engines. 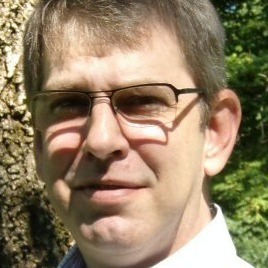 “As a merchant, do you really want to go out and make different copies for the different physics engines?” said Rogers. 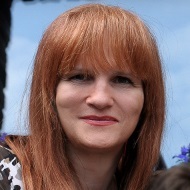 However, OpenSim developer team spokesperson Melanie Thielker says that meshes uploaded with the new engine should work with the older physics engines. The biggest seller of mesh-based landscaping objects on the hypergrid today is the Worlds End Landscaping & Roleplay store on the Kitely Market, which delivers to more than 150 different OpenSim grids. Meanwhile, he has added a disclaimer to his product listings, warning buyers to contact grid administrators and check if their grid is running OpenSim 0.9.0 and is using the ubOde physics engine before making a purchase. 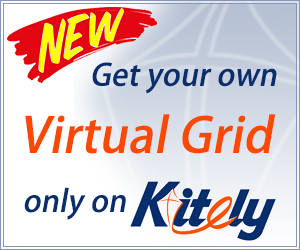 Kitely itself is currently running the recommended version of OpenSim on its grid, and will wait before upgrading to 0.9.0, CEO Ilan Tocher told Hypergrid Business. For many users, the advantages of the new release of OpenSim will outweight the problems with meshes — or they will simply opt not to use the new ubOde physics engine but stick with the older Bullet and ODE physics engine options. And the choice of physics engine doesn’t make a difference for many mesh objects, he added. “I wear a mesh coat from the Kitely Market from the store Dadiella’s and it was not affected as it is a worn item,” he said. OpenSim 0.9.0 has other advantages besides being able to choose the new physics engine. OSgrid’s LBSA Plaza is the cross-roads of the hypergrid and a popular virtual hangout for developers, region owners, and metaverse travelers. Another grid that’s already running OpenSim 0.9.0 is the non-profit OSgrid, OpenSim’s largest and oldest world. That’s not a surprise, since one of the primary purposes of OSgrid is to be a testing grid for the software. 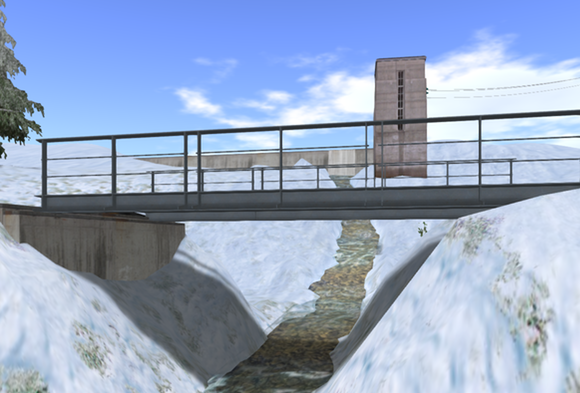 Region owners can download the pre-configured OSgrid version here. “ubOde physics is a major addition, and with ubOde enabled you’ll see a lot more Second Life-type vehicle physics, vehicle border crossing, Land Impact, sitting on unscripted prims, parcel privacy, and so on,” said OSgrid president Dan Banner. Today, grids that want to reduce region crossing issues, especially for vehicles such as boats or planes, use variable-sized regions that have no internal border crossings at all. The new OpenSim release makes those crossings smoother even between standard regions. While some grid owners may be hoping that developers will fix the mesh problem so that ubOde can work without re-uploading the mesh objects, it may be a long wait. “Making these broken meshes work would be to perpetuate a bug, not a fix,” said OpenSim spokesperson Melanie Thielker. She is also the owner and founder of the commercial Avination grid, which has now been down for almost three months because of a migration to a new data center. The approach used by current physics engines, such as the default ODE engine, can overload the servers, she said. “Re-uploading of an optimized physics mesh is the recommended solution,” she added. In addition to re-uploading the meshes, another option is to set the problem areas to “phantom” so that people can walk through them, or change other settings. “In cases where people have purchased broken mesh, they need to complain to the seller and get them to re-upload,” she said. But it’s worth it, Thielker said. “The benefits that ubODE brings are really too great to pass up,” she said.